FEMA blocking relief efforts has been reported multiple times before in other disaster areas. It is not a surprise that they continue to put people in harms way after Hurricane Irma. Here is a previous list of FEMA blocking aid. FEMA turns back Wal-Mart supply truckshttp://www.nytimes.com/2005/09/05/national/nationalspec..
FEMA prevents Coast Guard from delivering diesel fuelhttp://www.nytimes.com/2005/09/05/national/nationalspec..
FEMA fails to utilize Navy ship with 600-bed hospital on boardhttp://www.chicagotribune.com/news/nationworld/chi-0509..
FEMA to Chicago: Send just one truckhttp://www.chicagotribune.com/news/local/chi-050902dale..
Fema is also not helping, they are letting people in the keys go to hell. The Cajun Navy and others are not going to stand idly by while they receive calls for help, they are going to bust the FEMA barricades and go in fighting. 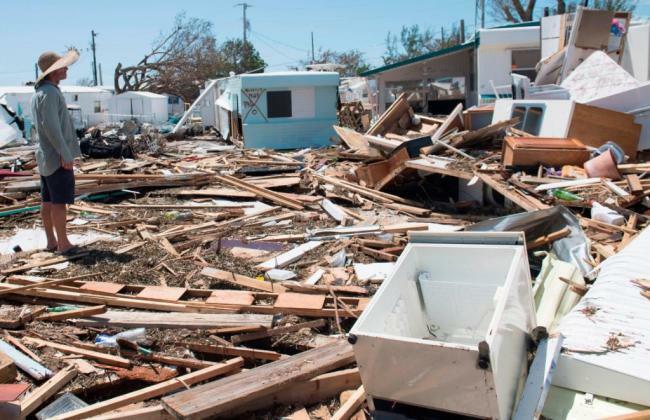 "A CALL TO ACTION & A CALL TO ARMS: What's happening in the Keys is absolutely despicable. I'm currently volunteering logistical support with three rescue groups including The Cajun Navy & the US Civil Defense Force, we have 100's of fully qualified, ( US Navy ) vetted & certified volunteers with teams of rescue workers who've brought their own resources, equipment & supplies. 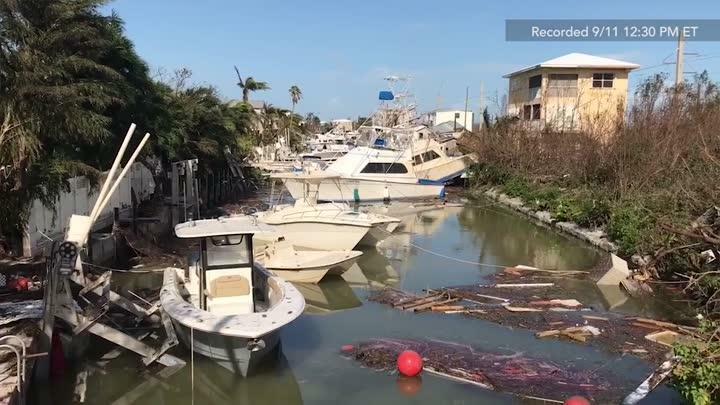 FEMA has stopped our teams & are currently refusing access into the Keys. We've received hundreds of calls & requests for help, we have tickets on our system(s) that are over 3.hrs old and FEMA absolutely refuses to let our teams in to help. We are planing on rallying at Phantom Fireworks in Key Largo in the morning.. 1.st & 2.nd Amendment exercise. 7.am. In a show of force we plan on crossing FEMA's roadblocks & checkpoints with or without FEMA's blessings. We are inviting all 3% Conceal & Open Carry citizens to join us at the rally point tomorrow morning.. This is an open S.O.S. for the people trapped in the Florida Keys. There are people in desperate need of our help & we are not going to sit another day waiting for permission to assist. Americans do not need FEMA's permission to exercise their first and second amendment rights. we will assemble & we fully intend to render assistance. We are currently holding 'live' USCF Action Team meetings on the android zello app in the Hurricane Irma Rescue & relief channel. We shall not go 'Quietly'. They kicked us out of Hurricane Harvey they will not 'kick' us out of Irma. AJ has been in the channel ripping it up so we expect this Call to Arms to go live across many of the alternative media outlets in a little while but I doubt we'll see this on any of the lame stream media. My comment: If Fema is blocking help from arriving I would not put it past them to vanish as many people as possible. Katrina was very suspicious with this, as was Andrew. Good luck guys, all I can do from here is help spread the word. GK note: This is why the people who talk of humanitarian projects are intensely naive. They have no idea of the gauntlets placed where the evil does not want to ever relinquish their goals and control. Those who talk about building things to withstand hurricanes or tornadoes don't even understand the sustainable freaks are anti-sustainable when it comes to people and places they want to have tornadoes blow off the face of the earth. Therefore many of the building permits will not allow cement or building into the ground. Ask yourself why certain places like the Florida key are being seized? It would be a sound guess that strategic positioning is a large part of that plan. What if the so called cabal set up the launching pads for missile strikes? Or bioweapons close enough to hit any target? Also, for anyone who thinks the so called cabal will ever stand down and accept a secondary role in world control you do not understand the Talmud or the protocols of Zion. Second is not an option. Not only do they demand to be chosen and make all decisions for humankind, they have a plan to kill off everyone who does not follow their doctrine.